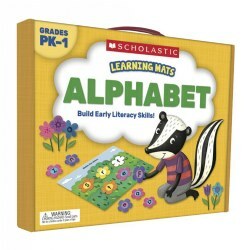 Build readings skills and phonemic awareness with ABC felt sets, board games, activity kits, and flip charts. 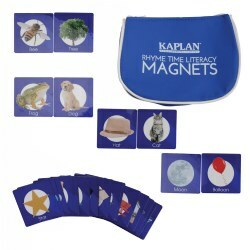 Kaplan also includes CD read-alongs, sorting trays, Hot Dots products, and alphabet and language cards. Grade PreK - Grade 1. 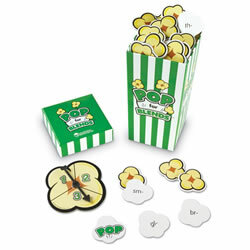 Teach alphabet recognition with this engaging kit that includes 54 colorful foam bugs with upper and lowercase letters along with 10 two sided flower mats. Children match the letters on the bugs to those on the flower mats. That can match same-case letters, or match upper case to lowercase and vice-versa. Includes a 4 page activity guide. Grades 1 - 3. 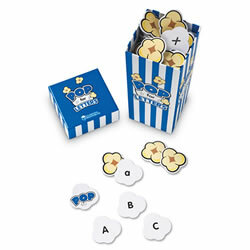 Set of 24 laminated cards with picture and color clues for children to build three-letter words with Unifix® Letter Cubes CVC Sets. Color illustrations of common objects and animals. Grade PreK - Grade 1. 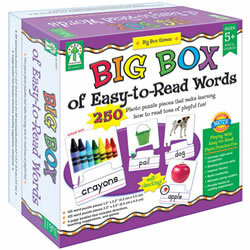 Teach basic concepts and promote early literacy with this hands-on approach to skill building. 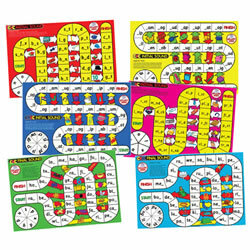 Each set contains 10-five piece, two-sided puzzles designed to meet key instructional goals. Includes activity guide. Research based! 3 years & up. 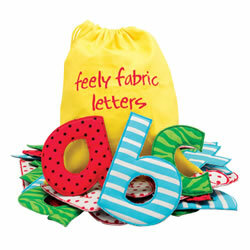 These tactile letters are made to touch, sort, and have fun with! 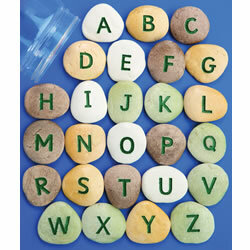 They are ideal to enhance children's letter awareness and recognition, to support phonics and alphabet activities and for simple word building games. 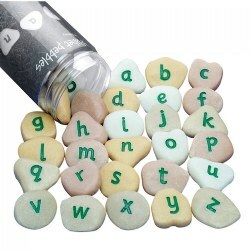 Flexible and appealing, each set includes a full lowercase alphabet. 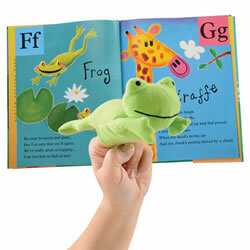 Children will enjoy acting out the story using the 26 animal alphabet finger puppets from the book ABC Jamboree. There are puppets for each character of the alphabet from an Angel Fish to a Zebra. An absolute read and laugh-aloud fun book. 3 years & up. 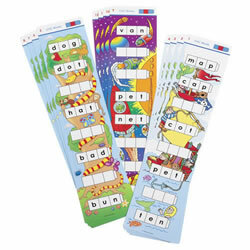 Enhance early language development with rhyming magnets. Children will enjoy matching real images on any magnetic surface. 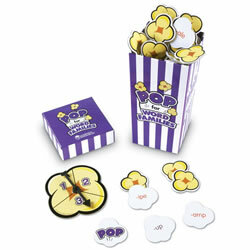 Set includes 30 magnets and storage bag. Magnets measure 3" x 3". Easel sold separately. Grades K & up. 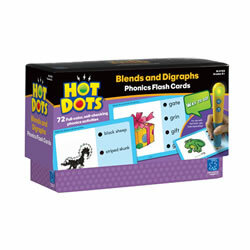 Have fun with blends and digraphs. 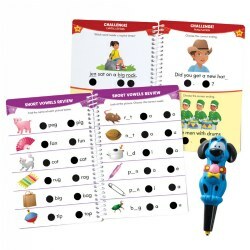 Read words and phrases with beginning and ending r-,l-, and s- blends and digraphs (sh, ch, th, wh). 72 learning activities in all. Hot Dots® Pen sold separately. Grades K - 2. 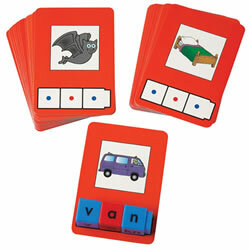 Children are motivated to make and break simple three-letter words with this set of 12 activity cards. 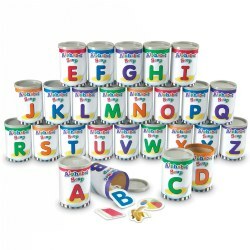 Designed for use with Unifix® CVC Cubes, each word ladder requires children to complete a series of words by changing one sound at each step down. Cards are 3 1/2" x 16". Teaching notes and answers included. Grades K - 1. 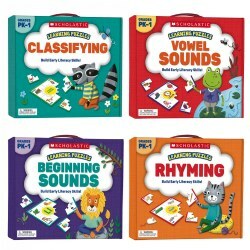 This set includes 85 kindergarten-level lessons in the areas of letter recognition,reading readiness, phonics, sight words, punctuation and grammar, PLUS 15 challenge reading lessons for advanced learners. Hot Dots® Jr. Pen (item #91112) sold separately. Grades K & up. 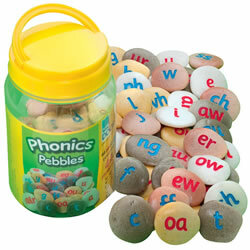 Make reading the 37 most common phonograms fun with 72 learning activities. 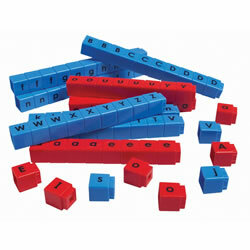 Activities include word families -at, -ank,-et,-ell,-in,-ing,-ot,-ock,-un, and -unk. 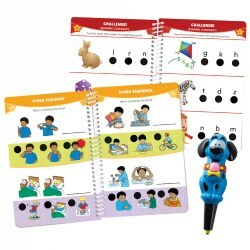 Hot Dots® Power Pen sold separately. Grades K & up. 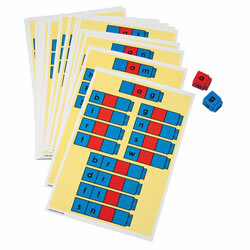 Have fun learning initial, medial, and final consonant sounds in word content with 72 learning activities. Hot Dots® Power Pen sold separately. Grades PreK - K. Includes 85 pre-kindergarten-level lessons in the areas of letter recognition, reading readiness, phonics, sight words, punctuation and grammar. Hot Dots® Jr. Pen (item #91112) sold separately.